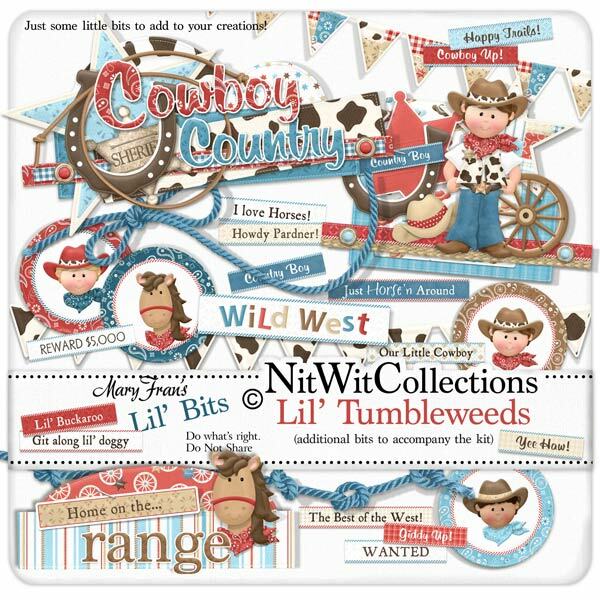 Lil' Bits "Lil' Tumbleweeds" contains all of the premade elements to make getting back to the ranch work a little quicker (or making a digital scrapbooking layout or card). These digital elements are NOT included in the FQB "Lil' Tumbleweeds" Collection. 1 Label - "Wild West"
1 Wordart - "Country Boy"
1 Wordart - "Cowboy Country"
1 Wordart - "Home on the Range"